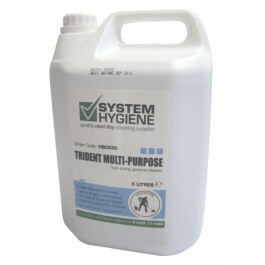 An efficient, quick acting heavy duty multi purpose cleaner. Highly recommended for professional users where a strong, all-purpose cleaning product is required. Ideal for use on a variety of hard surfaces including vinyl, rubber, concrete, fibreglass, paintwork, ceramic, porcelain and plastics. Will remove stubborn stains & heavy soiling, from most surfaces. Leaves a clean fresh fragrance. 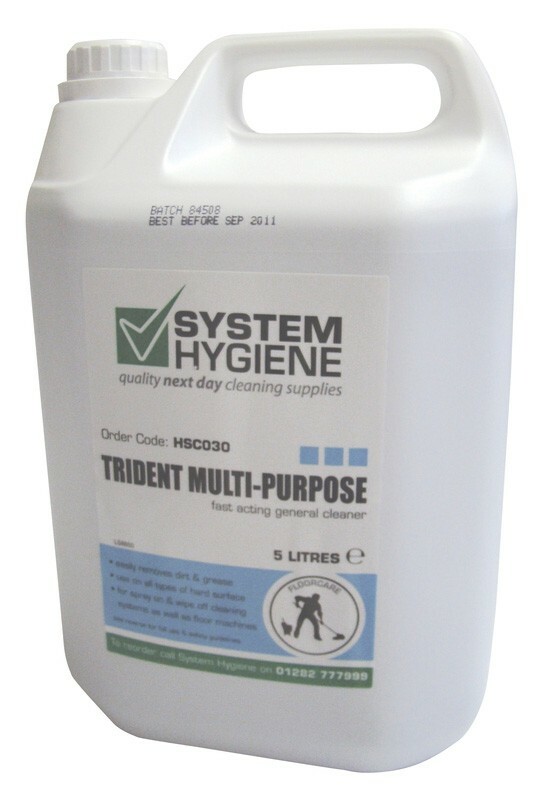 Suitable for a wide range of cleaning applications. Highly recommended for spray cleaning floors. General Cleaning: Dilute 1:100 parts warm water (50ml/ 4 capfuls per 5ltr). Mop or wipe the surface. Heavy Soiling: Dilute 1:25 parts warm water (200ml/ 1 cupfuls per 5ltr). Mop or wipe the surface. Spray Cleaning: Dilute 1:50 parts cold water (10ml/ 1tbsp per 500ml spray bottle). Spray surface lightly & burnish floor.